What if six months after the 2016 election, California secedes from the union and promptly releases the Jerry Garcia virus on the Pentagon, appropriating the U.S. nuclear arsenal? Oops! Somebody’s been asleep at the wheel for years, because California is now three decades ahead of the Feds technologically on land, sea, air, and even in space. This is not Calexit. This is FREE THE BEAR! In this first installment of speculative fiction meets literary fiction, utopian ideas lead, artificial intelligence advises, and human foibles continue to mess things up. The story plays out against a backdrop of U.S. treachery and the current direction the world is headed. Utopia? Dystopia? You decide. 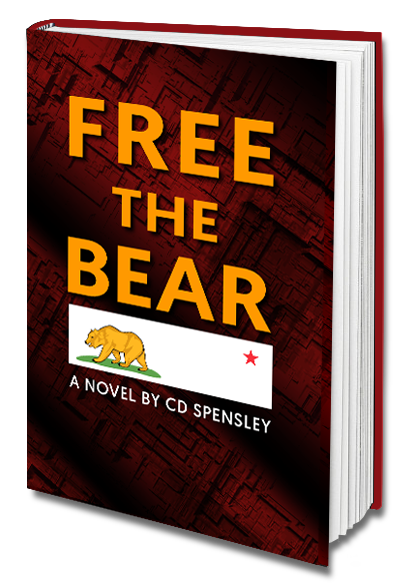 This science fiction tale will have even the most cynical U.S. citizens waving their Free the Bear flag!